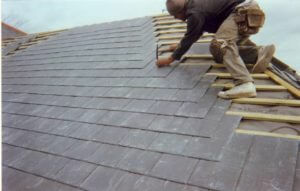 Roofers provide roof installation and roof repair to homes and businesses. Most roofers do not charge for estimates and give 100% free estimates and free quotations and give warranties for their roof. The customers should choose a roofer who will provide good quality roofing and ensure that they invest in a roof that stays. Yearly inspection should be done on the roof. An eighteen point final inspection may be made. Work area should be magnetized for loose nails. A roofer who is pre-approved by major insurance companies should be chosen by the customer so that they may get free insurance claims assistance. If a roof is showing signs of old age, then the customers should know that it is time to contact a roofer and ask him for an inspection and then decide what kind of replacement is needed based on their budget. The customers may get a free roof replacement proposal. But many homeowners neglect their roofs. Roofing contractors in San Antonio are well-versed in the many roof replacement techniques. A single sloped roof style complements the architectural features of homes. Businesses may choose to use various other styles of roofs. Roof replacement should be done based on what type of structure it is and what materials are used for constructing the roofs. When replacing your roof, you should also inspect your flashing and gutters. Worn or corroded flashing is a common failure point in roofs. If they peel up, corrode or crack, they allow water underneath your shingles and into your ceiling. Roofing replacement is more than just nailing down the shingles. Effective roofing relies on advanced material technology and an integrated system approach to protect your home. The entire re-roofing process should be understood by the customer from start to the finish. The costs involved in roofing replacement should be discussed clearly to avoid any costly surprises. For a successful roof replacement, the customers should also be aware of the pitfalls which they have to watch for. Roofing repair should be done with extreme care and caution, not to affect the portion of the property which is intact. The main argument against laying additional layers of asphalt shingles is that the roofing materials can get too heavy for the underlying roof framing. This can be a structural problem, especially for older houses. It is often said that a triple layer of asphalt shingles is equal to a single layer of slate shingles–an exceedingly heavy type of material. Roofing services in San Antonio gives a personal attention to the client which they deserve. They ensure high quality roofing solutions for commercial and residential properties. Most of the times, what is needed will be more than just a roof repair or roof replacement.